Sydney Shop Girl: The Bump and The Dip. Midnight Recoveries for Casual Vacancies. The Bump and The Dip. Midnight Recoveries for Casual Vacancies. Well, my half of the Grand Final weekend is done and dusted. Congratulations to the Sydney Swans for a nail biting battle that raised my blood pressure and made Baby SSG kick madly for his home town. The Swans have been such a solid team all year and it couldn't have happened to a more deserving team. I admit to getting a little teary when I read the Swans' co-captain Jarrad McVeigh's reflection on what playing in today's Grand Final meant for him and his family. He wrote of how the successes and happiness of this year, both on field and off, have meant so much more to him thanks to the resilience he gained from the pain and loss of 2011. They were such heartfelt and inspiring words in a time of the year when it seems to be all about on field performance and fan pride. 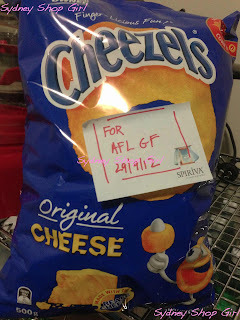 AFL preparations were low key but strategic at SSG Manor this year. The official cheese flavoured snack of the day was brought in from Costco with strict instructions for when they could be opened. For the record, Mr SSG was the one who caved and opened them the night before Grand Final day. Dress - Isabella Oliver Maternity, necklace - Red Phoenix Emporium, horn bangle - Mai Tai Collection, bump 27w2d. I stayed strong and chose to dress in the Cheezel packet colours instead. Pre game preparation today involved a few laps at the pool. It's so nice to get out of the water and feel the sun shining through the poolside windows. Next day sausage rolls are second only to next day pizza as the breakfast of champions. Hence the two trays I baked today. 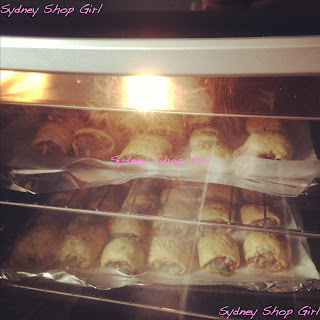 And then there was the excruciating wait for the home made sausage rolls to finish baking. 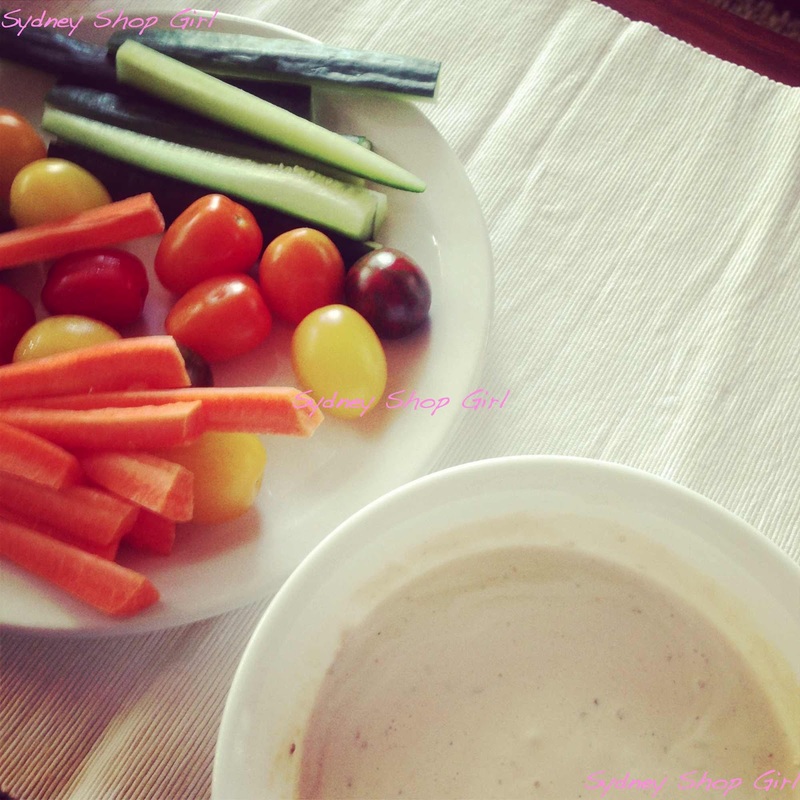 Luckily, I had this dip and some crudites to tide me over. I've broken the first rule of Grand Final day then and there, haven't I? Vegetables have no place on any menu of the day. Except when they're eaten with this particularly moreish dip the ladies at work taught me to make. 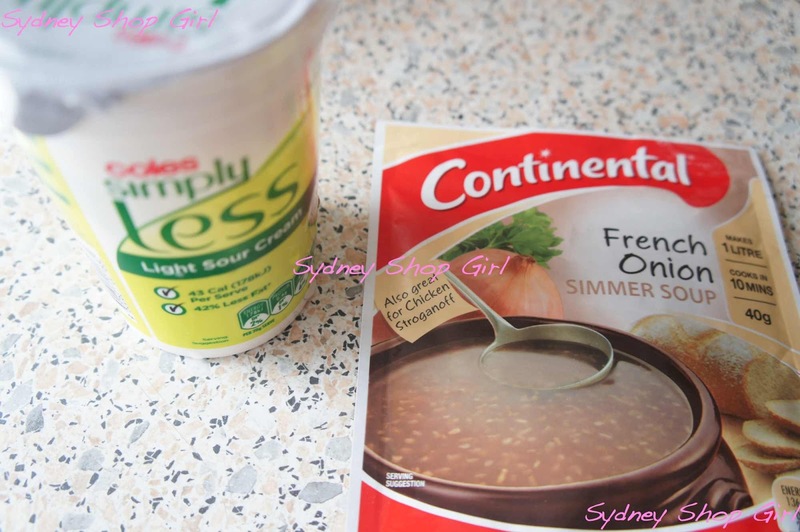 Am I the only person on earth who didn't know the fifth use for French Onion soup mix? For the record, the four I know are soup, lamb chop casserole, apricot chicken and beef burger patties. The dip is too easy. All you need is sour cream and the soup mix. Then you whisk the two together and there's your dip. I've been using Coles' light sour cream for general cooking these days and it works quite well. It has a reasonable consistency and isn't as runny as I feared it would be for a low fat product. The coffee table was dressed for lunch with cotton place mats and we drank San Pellegrino in lieu of alcohol. It all sort of compensated for the fact that I was seated for lunch dressed in track pants with post swim hair. I'm more suitably dressed for the rest of the evening thanks to my new eye cream that I'm deeply in love with. 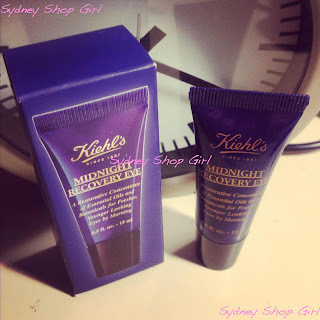 Kiehl's have an eye treatment to match their fabulous sleep in a jar oil, Midnight Recovery Concentrate. I'm trying not to hyperventilate but the pair are available as a set in Australia for $99. I picked up Midnight Recovery Eye (retails here for $44 AUD as per website link) in Dubai last year and 10 months later, I've finally gotten around to using it. It's not as thick as the brand's Creamy Eye Treatment with Avocado, it's more of an oil with a cream consistency if that makes any sense at all. Midnight Recovery Eye promises 'fresher, younger looking eyes by morning'. Which I'm going to need because I've just made the executive decision to get started on JK Rowling's first adult novel, The Casual Vacancy. I've heard all sorts of opinions about the novel in terms of the very confronting themes it covers but that most reviewers agree that it is well written. I'll give anything a go if it reads well. This might be an all nighter job for me. 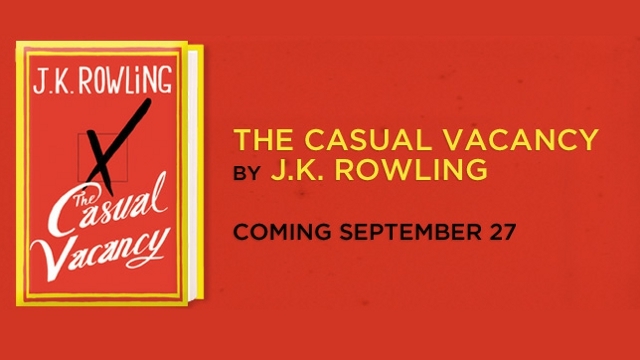 Have you read The Casual Vacancy yourself? You look beautiful SSG. I look forward to your review of JKRs latest book. I started reading it today and enjoying it so far. After watching the J.K Rowling interview with Jennifer Byrne I am very keen to read her new book. 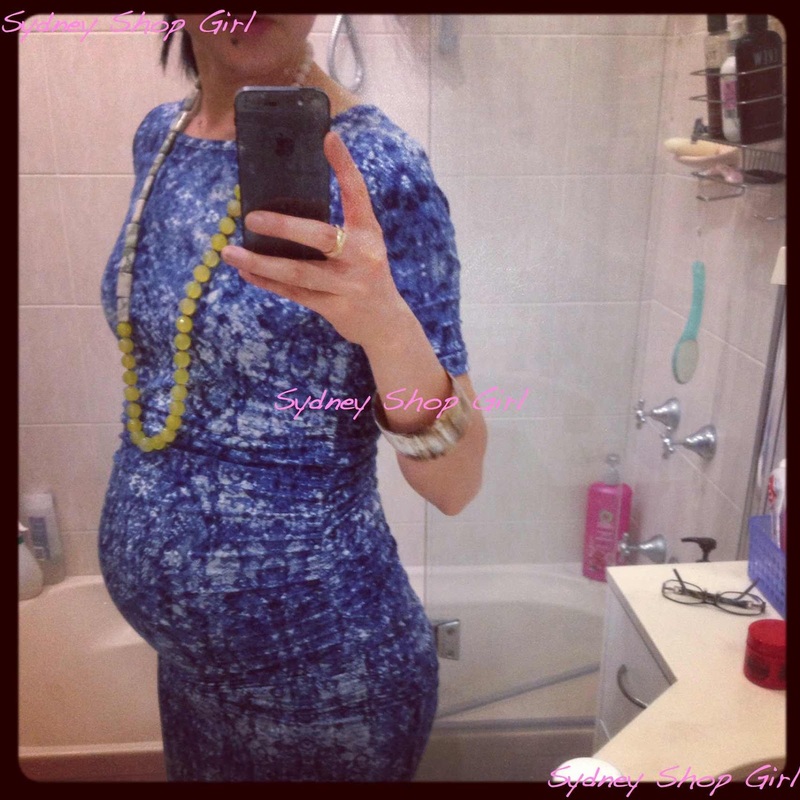 Your baby bump is looking beautiful! Your bump is looking fab. My next book will be fifty sheds of grey. I've gone off reading recently - maybe there's too much getting around in my head at the mo. It was a great game, and wow I keep learning more foodie tips from you. 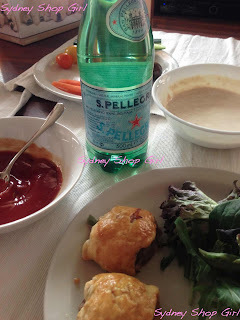 French Onion soup and burger patties... About to ask uncle google that one now. Look at you with your vegies on grandfinal day! We ate meat pies and cocktail frankfurters - the ones in a jar you buy from Aldi. After much derision was heaped upon my mother for buying meat in a jar, they are actually excellent.